Sougo calls for KuroWoz to help whisk Mondo away. KuroWoz obliges. Ora resets the Quiz Watch and turns Papa Douan back into Another Quiz. They leave together. White Woz laughs that everyone else has run away. 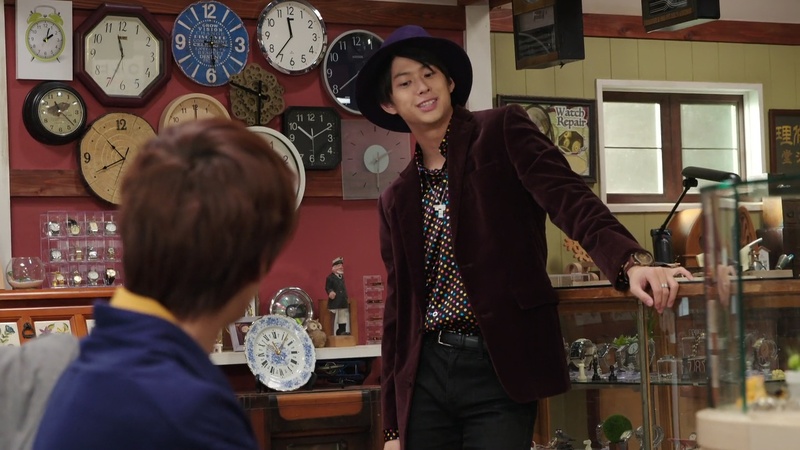 Back at the shop, Uncle Junichiro apologizes for not being able to get Mondo’s watch to start again. He says it’s okay since it stopped working when he got it. Uncle Junichiro welcomes him to stay longer and goes to get some tea. Sougo asks Mondo if his wanting to speak with his father is for his mother only and not for him as well. Mondo repeats that he is not interested in forging a relationship with Papa Douan. Then why is Mondo so interested in his father’s watch, Sougo asks. 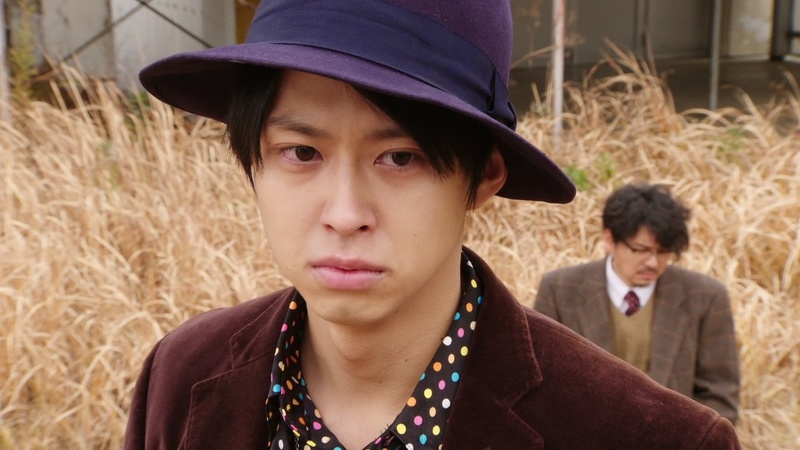 Tsukuyomi heads outside and sees Geiz sitting on the bench. She asks what his decision is. He points out that by obtaining the Quiz Watch, Mondo will lose his memories which means he won’t get to remember his father’s true feelings that he’s been hoping to learn. Geiz asks what Zi-O would do in this situation. Tsukuyomi says he would do what’s best for Mondo. Geiz says they must fight then. He leaves Tsukuyomi and walks by a park where he sees children playing with their parents. He has summoned ShiroWoz with a request. On the other side of town, Papa Douan attacks a research lab and takes the professor’s knowledge. 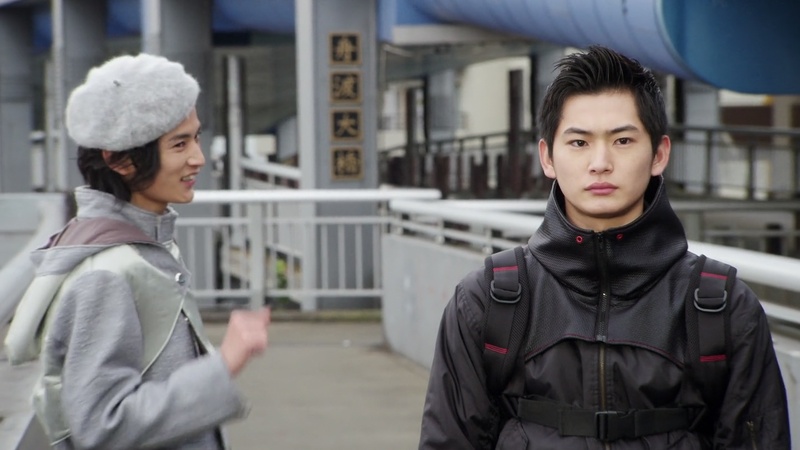 Sougo and Mondo hurry over, but they are stopped by Geiz. They all henshin. They charge at each other, but Geiz goes straight for Sougo, passing Mondo. Sougo tells Mondo to hurry to his father while he fights off Geiz. Geiz asks Sougo to drop it, but Sougo refuses. Geiz goes Build and delivers a Vortec Time Burst at Sougo, forcing him to dehenshin. When Sougo comes to, Geiz has disappeared. Tsukuyomi arrives and runs over to him. KuroWoz pops up as well and suggests Geiz is trying to separate Sougo and Mondo in order for him take the Quiz Watch for himself, as written in ShiroWoz’s book. KuroWoz says it’s very amusing to see Geiz and Sougo both wanting to defeat Quiz, but for different reasons. But Sougo says he doesn’t want to defeat Mondo. ShiroWoz is with Geiz, watching from above. Geiz says he wants to bring Quiz and Another Quiz together before he jumps in. ShiroWoz is pleased. He writes in his book that the father and son Quiz will meet in an abandoned factory. Mondo fights his father hoping to have him emerge from Another Quiz so they can talk. 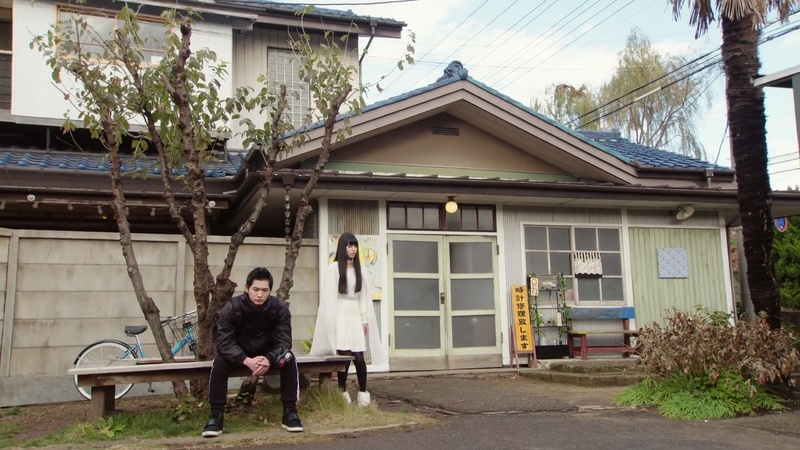 Back by the lake, Sougo asks Tsukuyomi what she thinks Geiz would do now since they would have to defeat Quiz. She laughs and says Geiz asked her the same thing. Tsukuyomi says the old Geiz would have never posed such a question. He would’ve just blindly rushed at Mondo. Geiz is too straightforward. Sougo has come to a realization. 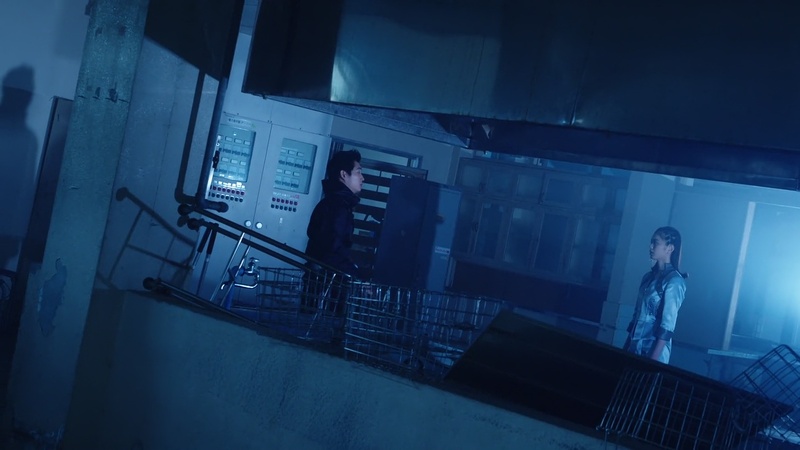 Back at the factory, Geiz arrives but is met by Ora who doesn’t want anyone to interfere. She freezes time, but Geiz is able to still move. Turns out ShiroWoz wrote it in his book. Ora gets knocked over and Geiz henshins. He charges at Another Quiz. Mondo is surprised. Geiz says his mission is to change history, but he won’t be stopping Mondo. ShiroWoz says that doesn’t make sense since Geiz must become Geiz Revive in order to stop Oma Zi-O. Sougo arrives and says he figured Geiz’ plan out after thinking about his actions from earlier today. Sougo tells Geiz to take care of everything else while he focuses on ShiroWoz. Sougo and ShiroWoz henshin. Sougo goes W.
Geiz and Mondo team up against Another Quiz. Geiz realizes they might not need Quiz Watch to defeat Another Quiz. Quiz could defeat Another Quiz himself. They both deliver finishers at Another Quiz and Papa Douan is released. Back inside, ShiroWoz is able to force Sougo to dehenshin, even with W.
Papa Douan wants to know who the hell Quiz is. Mondo explains he came from the year 2040 and that he is his son. Papa Douan doesn’t believe it. But Mondo shows him his watch and asks him the one question he wants answered: Even if Papa Douan’s experiments amount to nothing, he abandons his family and dies an early death, who is the one person in his life that he loves? Papa Douan says Mondo’s mother of course. Mondo, holding back tears, says he will accept that as the correct answer. 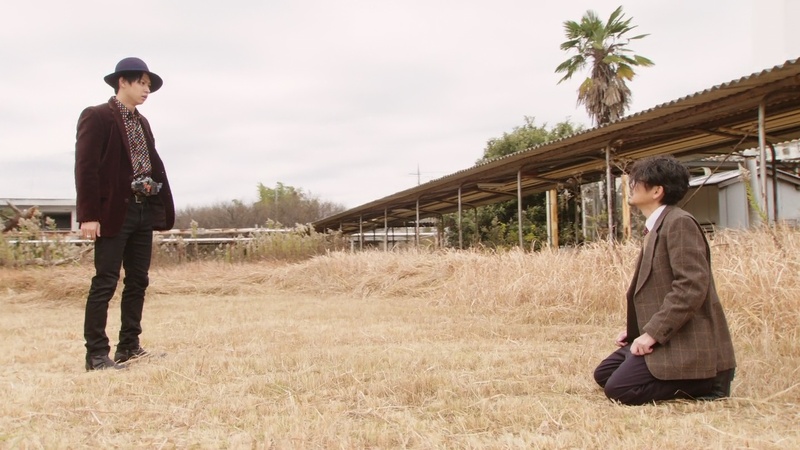 Mondo walks toward Geiz and thanks him. But just then, Ora reaches in to Papa Douan to reset the Watch and turn him into Another Quiz again. Before Geiz and Mondo can henshin, ShiroWoz arrives. He knocks Geiz down and grabs Mondo by the collar. He says he and Geiz still can’t trust each other. And that Geiz’ wishy-washy attitude will cause much suffering in the future. ShiroWoz makes a Quiz Watch from Mondo and uses it to uphenshin to Futureing Quiz. ShiroWoz and Another Quiz battle. ShiroWoz uses a Miraculous Magic finisher on Another Quiz and defeats him. Papa Douan is released and the Watch is fried. ShiroWoz hands Geiz the Quiz Watch. 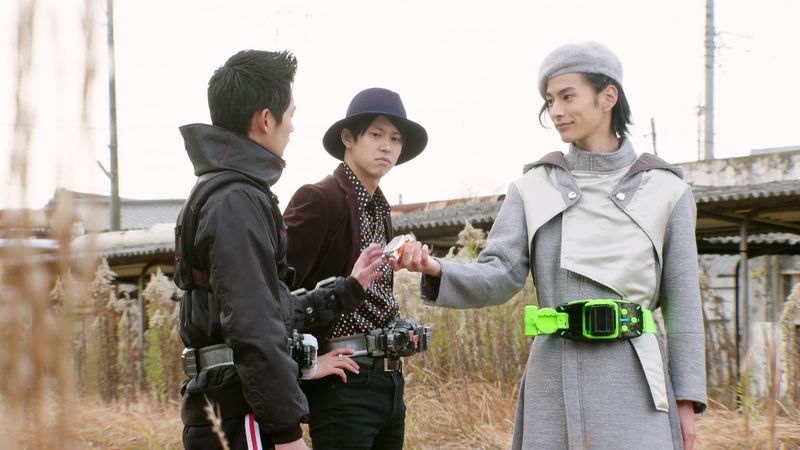 Geiz wants to hand it to Mondo, but Mondo says Geiz should keep it. Now that his mother’s time can move forward, so can his. Mondo looks at his watch and it starts working. Mondo says he can entrust the Watch to Geiz. He asks Sougo to take care of his father and then tells ShiroWoz that he is ready to return to 2040. ShiroWoz first has a reminder for Geiz, that he must defeat Oma Zi-O. ShiroWoz places the Shinobi Watch in Geiz’ other hand. 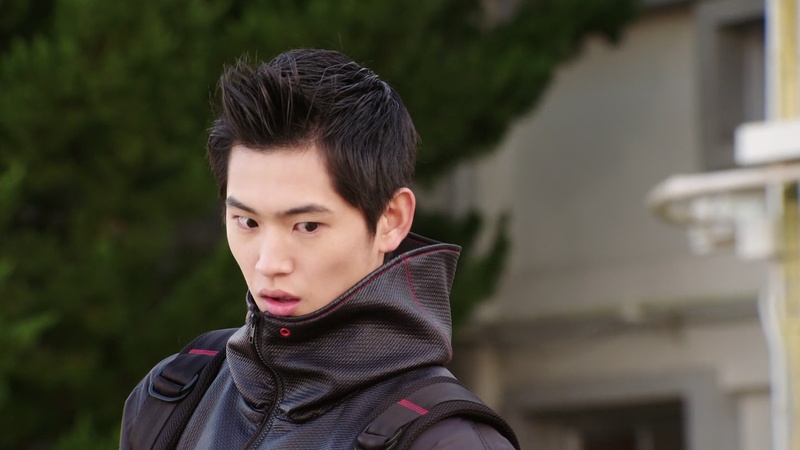 Holding the Shinobi and Quiz Watches, Geiz suddenly has a strange, intense flash. ShiroWoz says that’s a preview of him becoming Geiz Revive. And Geiz’ continued hesitation will not help in the eventual battle with Oma Zi-O. Sougo arrives back at the shop where Tsukuyomi is waiting. She asks where Geiz is. KuroWoz pops in and says the flow of time has started to move away from the original Oma Zi-O timeline. Uncle Junichiro comes in and invites KuroWoz to dinner. 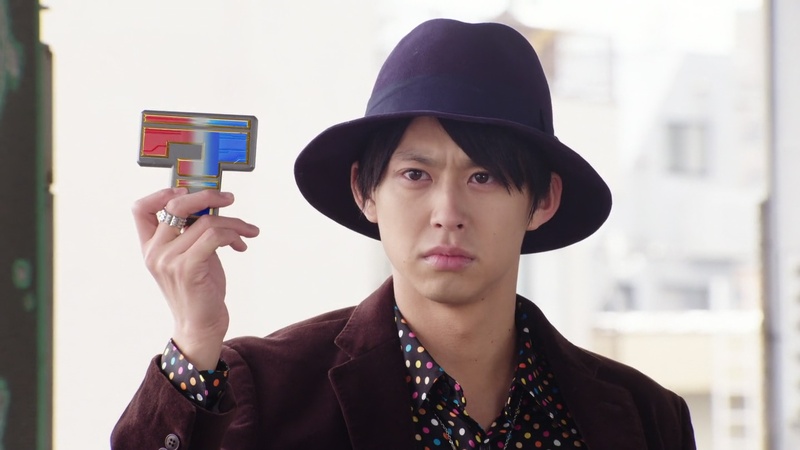 But Woz presents a Zi-O Watch to him and asks him to get it to work again. This was a very exciting and emotional episode. I really enjoyed it very much. Mondo’s story really worked very well on its own as well as with relation to Geiz and Sougo. There’s definitely a lot of interesting possibilities moving forward. And the stakes are getting higher and higher, even if just in small steps, every week. With Mondo and his father, I thought it was such a nice, quiet moment. Katsuhiro Suzuki was so great in that scene. The focus was definitely more on Mondo’s peace of mind after hearing his father’s words. And then thinking about his mother in the hospital. We may never know what happens to them, but we do know that they will have peace of mind and will be able to move forward without having to be burdened by questions of the past. It was a very poignant moment and really one of the most pitch perfect moments of the season so far. With Sougo and Geiz, the back and forth continues. But the constant is that we can see they’re more in sync in thought than they like to let on. It makes for things to be very exciting and I feel like we’ll get a nice climactic moment in their relationship sooner rather than later. Tsukuyomi, right now, kind of serves like the bridge between them. Anyway, this Quiz pair of episodes was really great. And I think Zi-O could really do a lot with these “future” Riders, maybe even more than the legendary Riders in terms of creative and fresh stories. 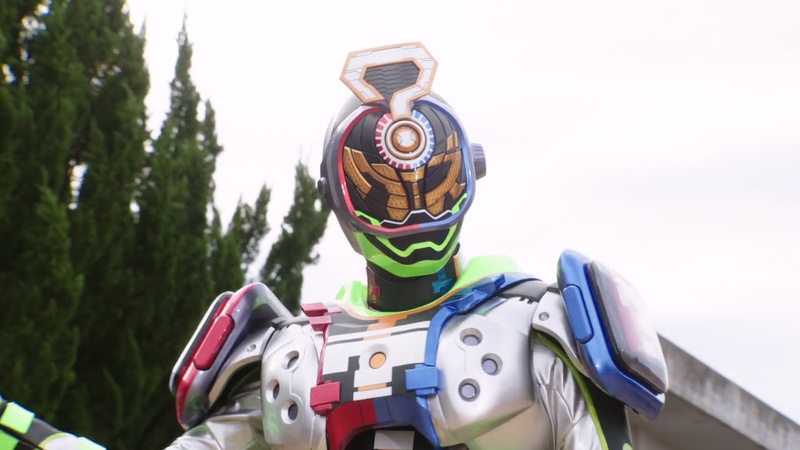 Should be interesting to see how Geiz will use his power up form to help Sougo.